Maxwell J. Friedman (MJF) is expected to miss several weeks of action due to a knee injury. The cocky Long Island native has been on a roll as of late. In addition to holding the CZW World Heavyweight Championship, MJF became the first-ever MLW Middleweight Champion last week by defeating Joey Ryan at MLW Battle Riot. That match airs Friday night on beIN SPORTS as part of MLW’s 2-hour Battle Riot cable special. Friedman wrestled for AAW on Saturday night and defeated Ace Steel in a Bourbon Street Fight. After the match, he tweeted this photo of his knee iced up and told the “pimpled up tubby marks” asking about his knee that he doesn’t need their sympathy. He was not ‘good’ by Monday. MJF posted a message on Facebook on Wednesday night and revealed that he suffered a small tear in his lateral meniscus and a tear in his LCL. Recovery time for this type of injury is approximately 2-6 weeks. MJF had been scheduled to compete for CZW and Beyond Wrestling this coming weekend. Hopefully MJF is back in action soon, just don’t send him any well wishes on Twitter. 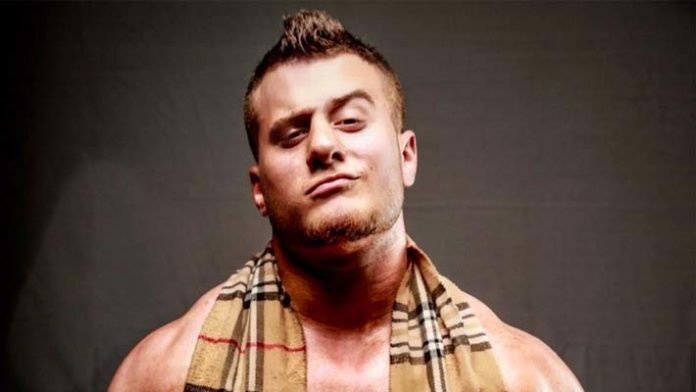 Follow Maxwell J. Friedman on Twitter @The_MJF and check out our exclusive interview with him from earlier this year.